It is the first My Kitchen Rules Elimination in kitchen headquarters for 2015. The losers of the last challenge, Annie & Lloyd and Vicki & Celine are facing off. Each team has to cook 3 courses which will be judged by the guest judges at a blind tasting. Who was eliminated from My Kitchen Rules tonight? 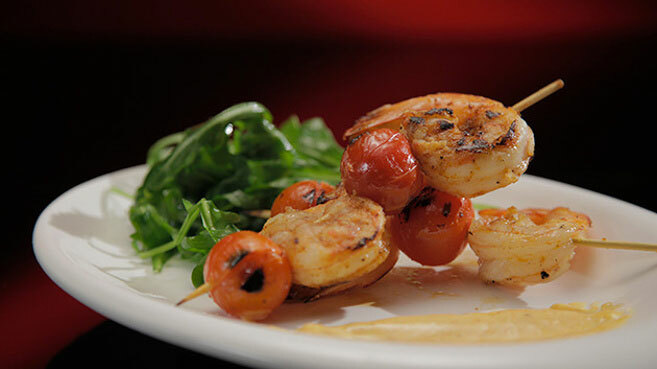 Vicki and Celine made a Grilled Lemon and Garlic Prawn Skewers with Chilli Mayonnaise recipe for entree. This was the first dish to be tasted. Colin said it was a nice dish, it wasn’t amazing, but it was nice. Guy Grossi had an undercooked prawn and there could have been more flavour. Pete asked “Where’s the excitement” it was quite average. 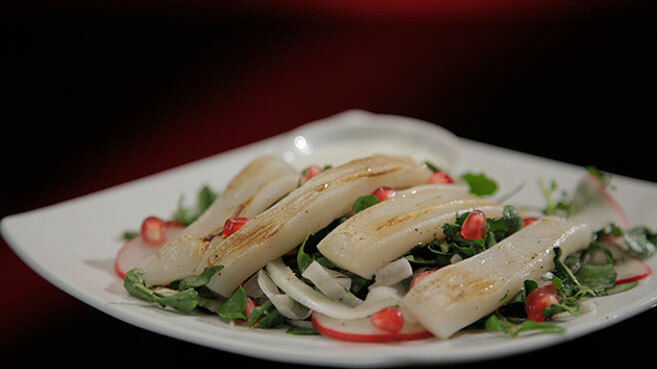 For entree, Annie and Llyod made a Grilled Squid with Fennel and Pomegranate Salad recipe. Llyod didn’t cook the squid very long at all. He didn’t season it or even use any oil, just slapping it on the grill for a few minutes. Colin said he couldn’t eat it. The squid wasn’t cooked. Guy liked salad but the squid was a failure. Manu said the squid was lacking oil and salt and pepper. 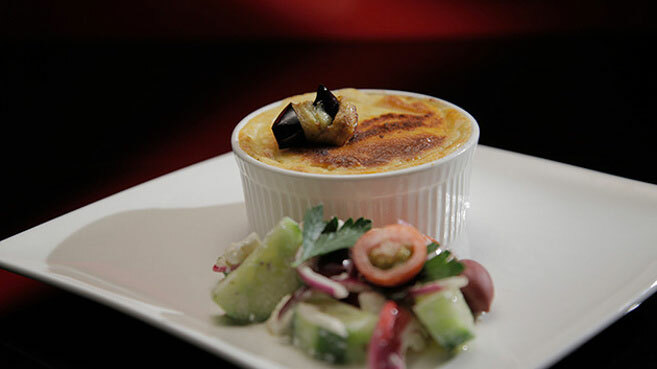 For main, Vicki and Celine made a Beef Moussaka with Greek Salad recipe. Unfortunately the potato at the bottom of this dish was uncooked. Pete said his eggplant was also undercooked. Manu was surprised it was a beef dish instead of a lamb dish. 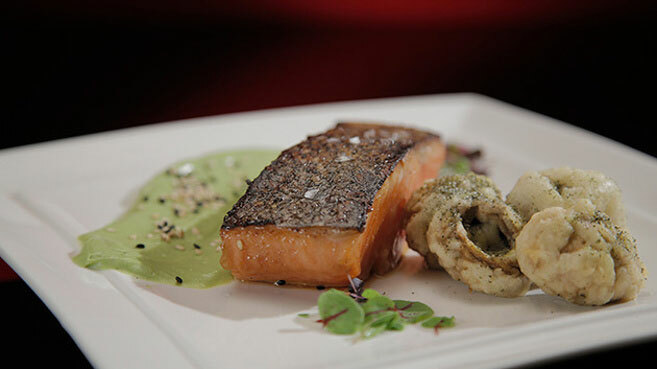 For main Annie and Llyod made a Miso Salmon with Tempura Mushrooms recipe. The skin was crisp and the salmon was cooked perfectly. The miso paste marinade was good and the avocado paste was delicious. Pete said this is what we are after in the competition. It looks like it will be down to the dessert. For dessert Vicki and Celine made a Rosewater Rizogalo recipe. The judges comment that it is not good enough and that it was lacking flavour. It could have benefitted from another element, maybe something citrus. 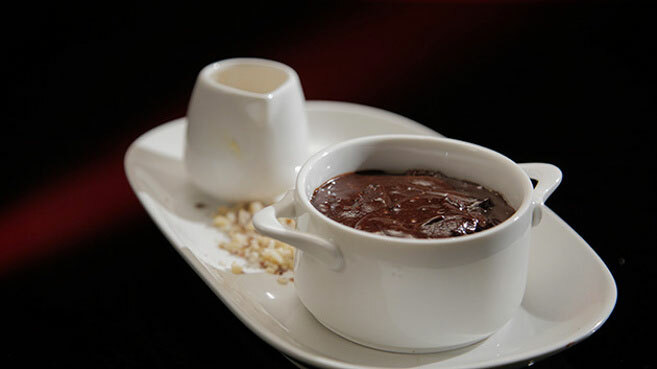 Annie and Llyod made a Chocolate Pudding with Salted Caramel Ice-cream for dessert. 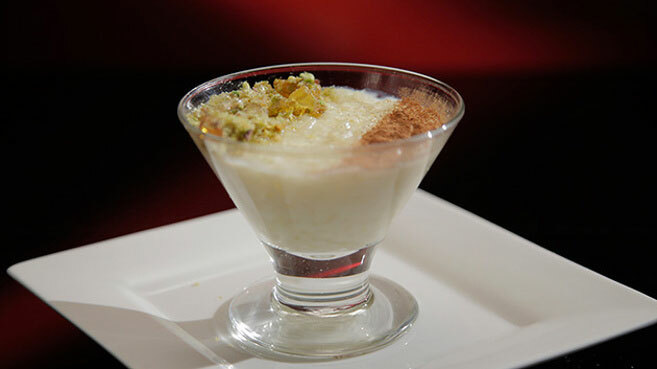 The anglaise was overly sweet, although the pudding flavours were good if only it had of had more cooking time. The winner tonight is Vicki and Celine. Annie and Llyod have been eliminated tonight from My Kitchen Rules. ← Who was eliminated from My Kitchen Rules Tonight Redemption?